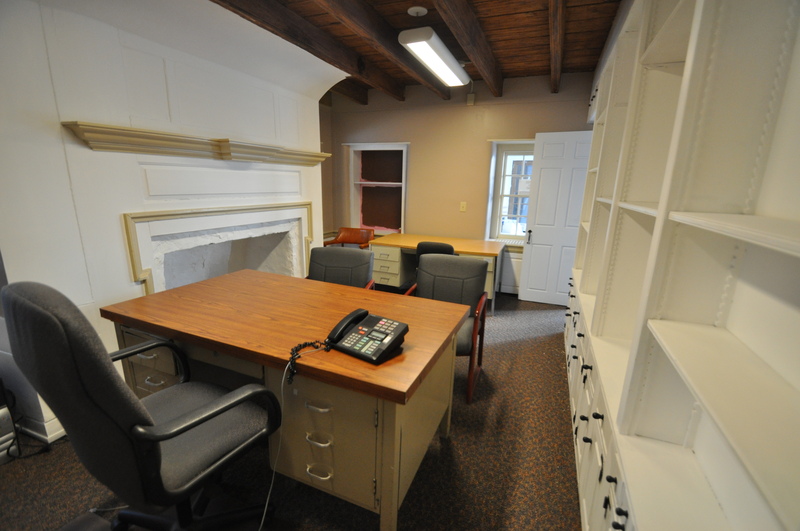 Single Office Available for Lease at Pennsyvlania Resources Council (Newtown Square, Edgmont Township) Unique opportunity to work out of a quiet, private office space within the boundaries of Ridley Creek State Park. Perfect for the person who has outgrown a home office or is just seeking a quiet place to work. Main office of Pennsylvania Resources Council – Single office for rent within. This historic property is home to Pennsylvania Resources Council. It’s a small office on a large property, convenient to so many locations: King of Prussia, Media and West Chester to name a few. While the building may have been built-in the 1800’s, it has been updated to provide for the needs of today’s professional. Office for Rent within Pennsylvania Resources Council. Office Space – Conference Room & Amenities Internet is available, as well as shared office resources such as a copier and a kitchen (shared by the 8 or so employees of PRC), a conference room that can accomodate up to 50 people and an additional conference room for smaller meetings. 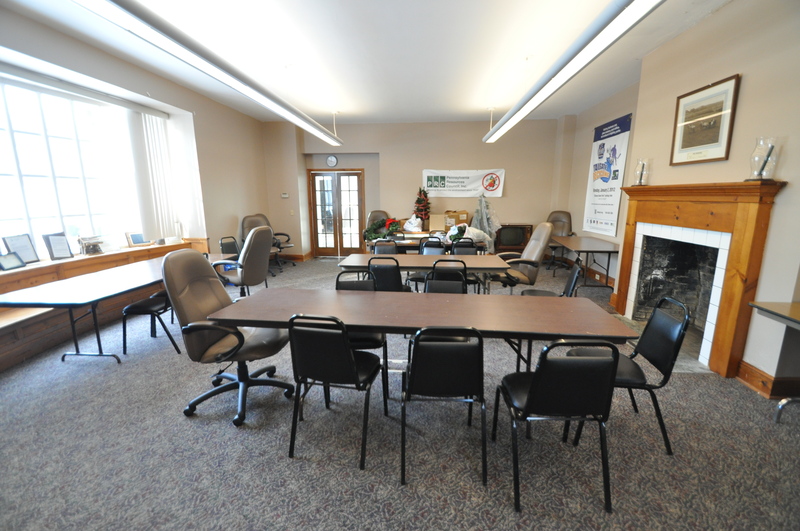 These rooms can be rented separately and are perfect for client meetings or formal presentations. And, if nature is your thing, you can eat on the patio or take your break by hiking around the grounds. If you have ever dreamed of working out of a space with a fantastic view, this building is situated on one of the largest parcels of open space in Delaware county. Right outside the door to this office is a beautiful vista, overlooking the grounds of Pa Resources Council and neighboring Clonmel Horse Farm. This ideal location is just 9 miles to downtown West Chester and 5 miles to Media. It’s hard to beat if you are looking for serenity coupled with easy access to major routes. 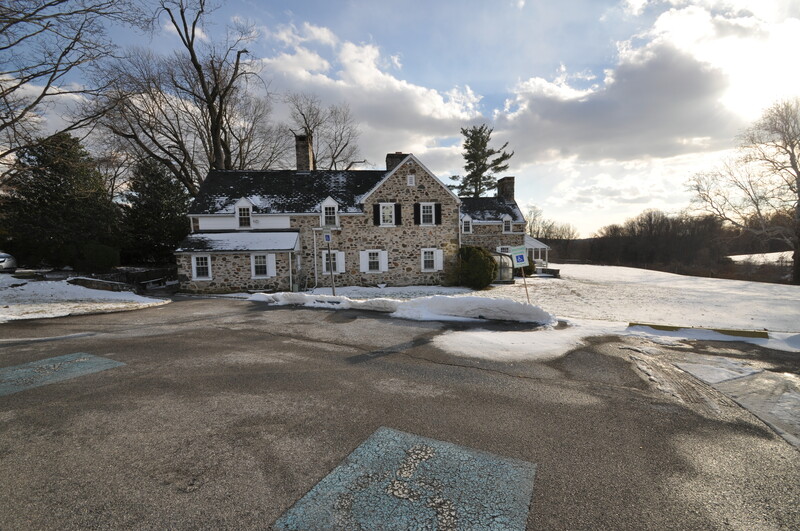 Property is located at 3606 Providence Road in Newtown Square, PA 19073. If this sounds like a good fit for you, please contact Pam Cloud for details at 484-883-8231. The official listing is in the MLS under commercial listings, MLS number 6510921. Click here for a more photos and Visual Tour. About Pennsylvania Resources Council: Pennsylvania Resources Council (PRC)a non-profit environmental organization. Founded in 1939 as an outgrowth of the Garden Club Federation of PA, PRC is Pennsylvania’s oldest grassroots environmental advocacy organization. PRC’s mission is to lead and promote individual and collective actions to preserve Pennsylvania’s environmental resources for each generation. Through education and outreach programs, PRC teaches the public how people can reduce their environmental footprint, conserve natural resources, and live healthier lives through simple lifestyle choices. PRC has a relatively small staff of 8 core employees and volunteers whose offices are located on the second floor of the farmhouse, and use the first floor public rooms primarily for meetings, environmental education and outreach projects, classes, and special events. PRC’s website is www.prc.org. Nice property Pam! what a great place to go to work every day. Lots of good mojo with the listing! Hope you are having a great year. S.
Thanks so much for your comments. It is an awesome property and location. All the best to you as well!